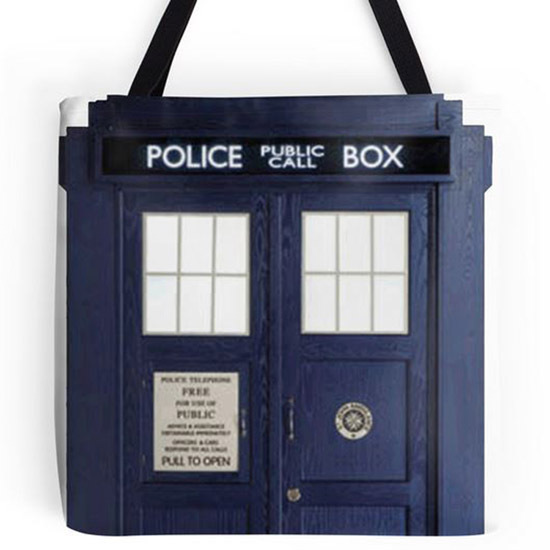 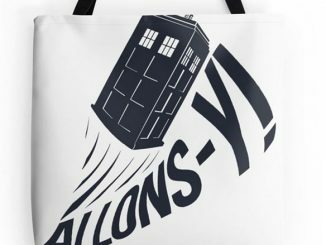 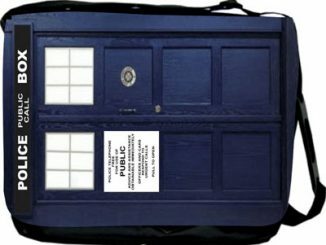 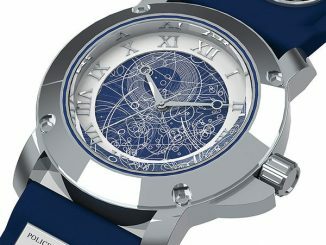 You’ll need something to carry your sonic screwdriver and 3D glasses in when you travel through time and space so don’t forget to take the Doctor Who TARDIS Tote Bag with you when a madman in a blue box shows up and invites you along for a ride. 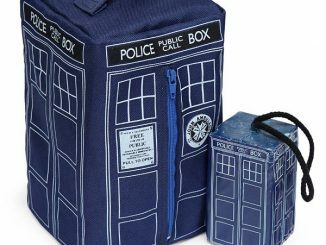 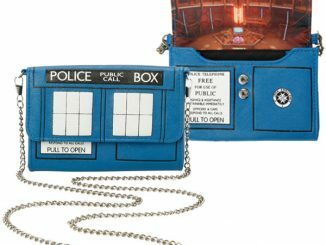 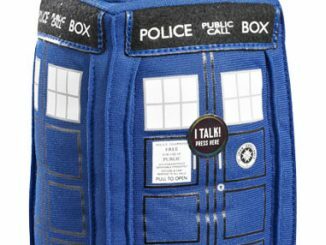 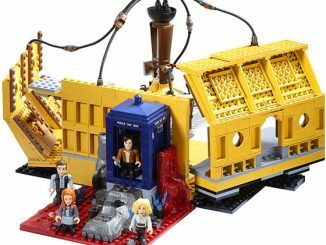 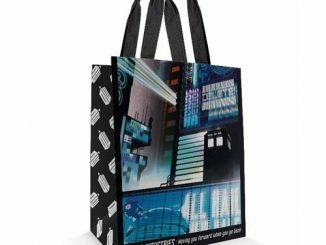 Until you get lucky enough to be thrown into adventures that involve Cybermen, Daleks, and dinosaurs on a spaceship, you can still keep the Doctor with you with this handy bag that looks like the upper half of the TARDIS. 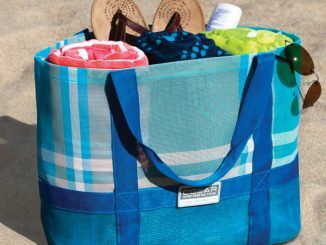 The 13-inch x 13-inch tote includes a 1-inch-wide, 14-inch-long, super-strong cotton shoulder strap.